Join us for the next Resco How-To Series. 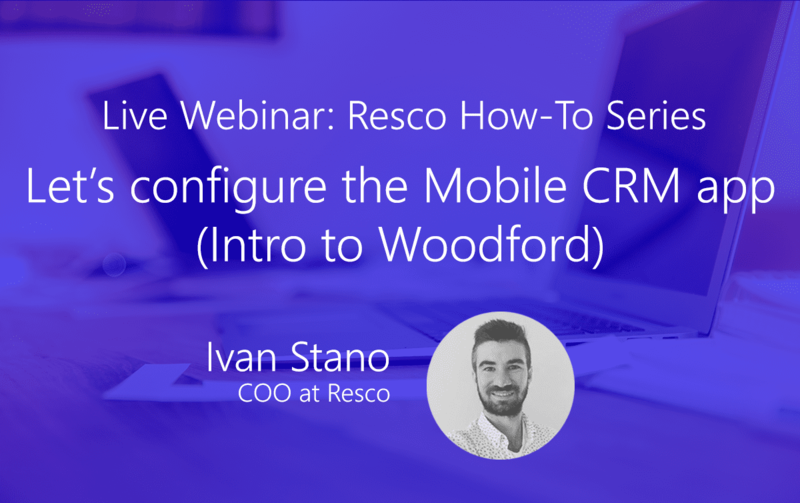 Each series session will provide a quick 30 minute overview Resco Mobile delivered by Ivan Stano, COO at Resco. In this session we will show you how to enhance the app and set up the newest capabilities in the Woodford configurator. Don’t miss this opportunity to learn more about how Resco provides the ultimate tool for mobile businesses & processes.